Professional athletes such as Kobe Bryant and Tiger Woods heal their injuries faster using Platelet Rich Plasma (PRP). Our office is very skilled at getting this procedure covered by many health insurance plans. The treatment stimulates healing by using your own blood platelets' growth factors. This treatment is administered by Dr. Rockmore directly to the injured tissue (plantar fascia or Achilles tendon) by watching the monitor on the ultrasound screen. This treatment is ideal for plantar fasciitis, Achilles tendinosis, and partial tendon tears. No cutting required. Improvement can be seen in 4 to 6 weeks. This treatment is sometimes repeated in severe cases. Just Want To End Your Pain Yesterday? Radiofrequency Ablation - This one-time treatment is more than 90% effective for chronic plantar fasciitis, plantar fasciitis, and calcaneal nerve entrapment. It is performed by Dr. Rockmore using simply local anesthesia (sedation is available). The tiny nerves of the heel are ablated (heated until the nerve is no longer functional), extinguishing pain. Band-aids are the only dressing needed and most patients feel relief in the first 2 weeks. There are virtually no special restrictions post-operatively. To learn more, call us today. Extracorporeal Shock Wave Therapy (ESWT), or EPAT, is used to treat chronic heel pain (plantar fasciitis and plantar fasciosis). "Extracorporeal" means "outside of the body." During this noninvasive procedure, sonic waves are directed at the area of pain using a device similar to that currently used in nonsurgical treatment of kidney stones. Improvement is usually seen weeks later. This minor surgical procedure is best for patients with a very tight plantar fascia that is accompanied by either heel pain, arch pain, or both. If your fascia is very tight to the point that you can strum it like the string on a bass guitar, the PRP treatment and the Radiofrequency treatment probably will not work, therefore the Instep Release is the go to the procedure. It is superior to the endoscopic release because the endoscopic release is performed on the weight-bearing heel and scar tissue and pain are sometimes a problem. However, the Instep is superior to the endoscopic release in that the small incision is on a surface of the foot that has little or no contact with the ground; less painful scar tissue. 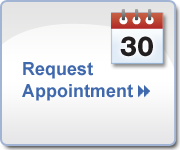 Approximately 3 sutures are required and you are permitted to walk the same day. Dr. Rockmore routinely performs this procedure, usually in less than 30 minutes.